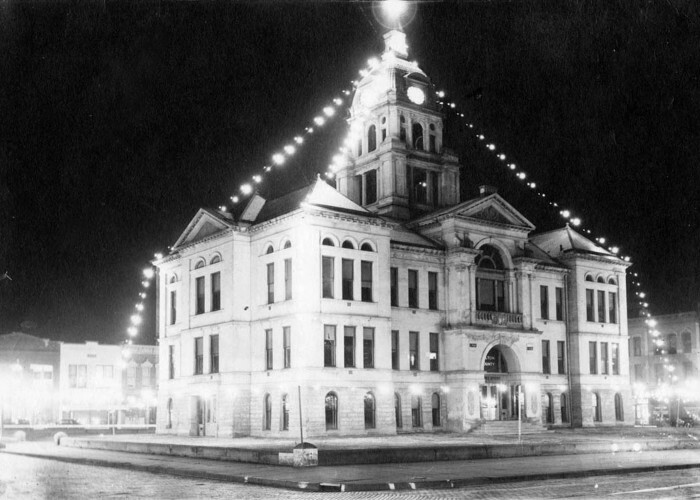 The present Lewistown Courthouse is the fourth to serve Fulton County. 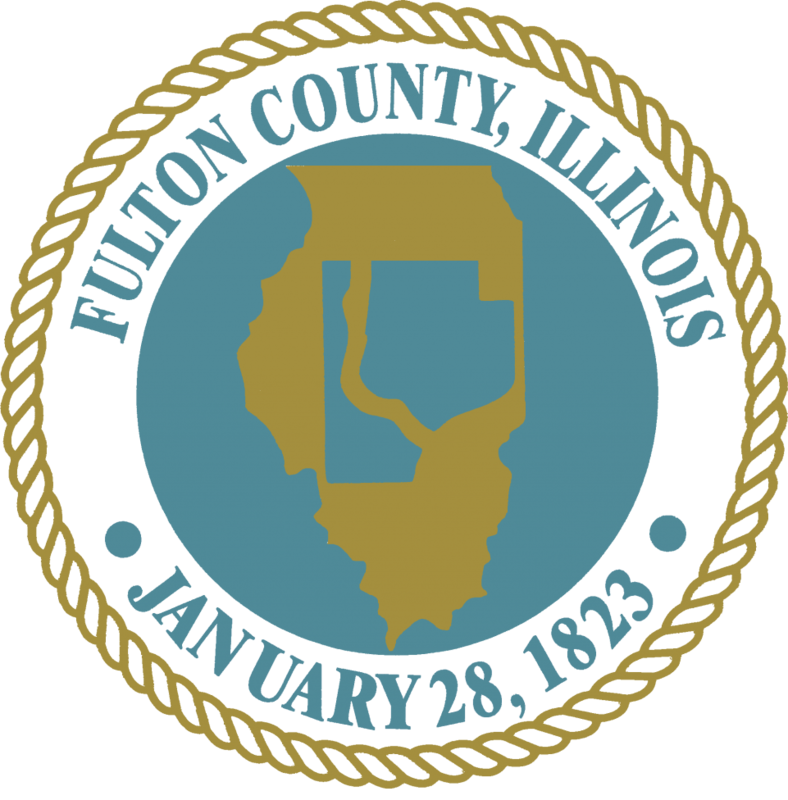 The first courthouse, built of logs in 1823, was in use when much of Western Illinois, including Chicago, was under the jurisdiction of Fulton County. A wooden frame building replaced it in 1830. 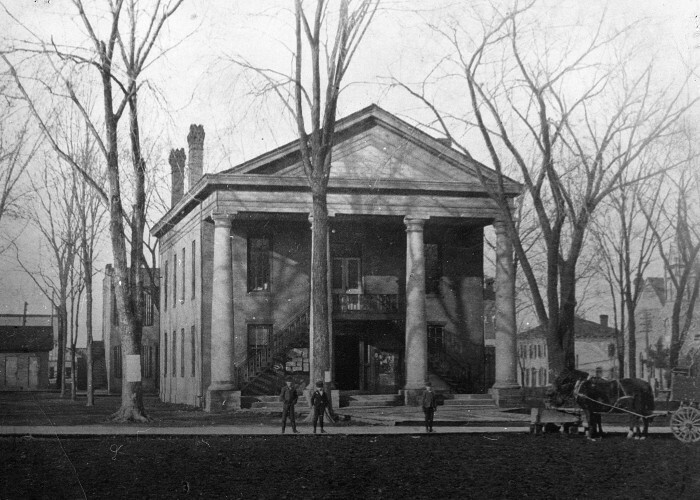 The third courthouse, built of brick in 1836 had a portico of four stone columns. These columns were quarried from the nearby Spoon River bottoms at a cost of $150 each. 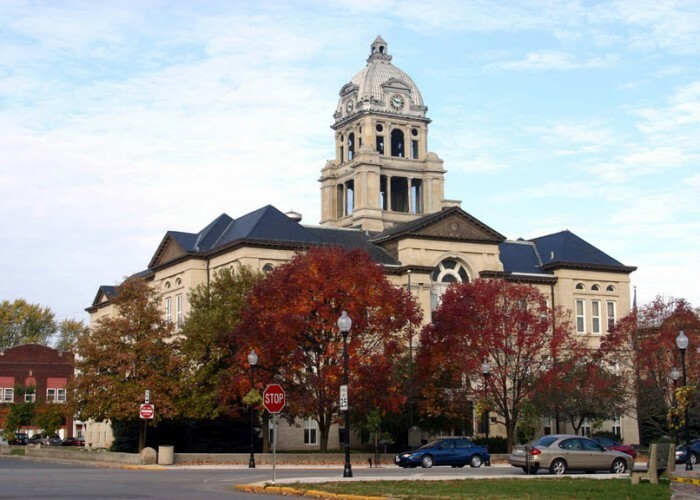 Stephan A. Douglas served as a Circuit Court judge in this courthouse, and on August 17, 1858, Abraham Lincoln stood between the columns and delivered the much quoted “Return to the Fountain” speech. 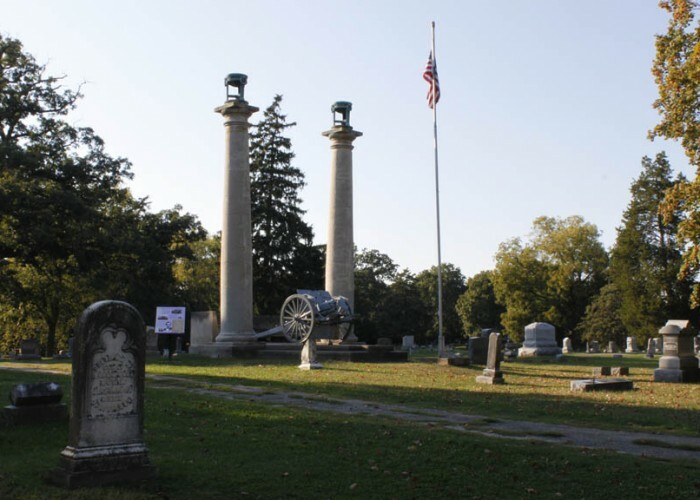 Two of the stone pillars that Lincoln stood between found their new home in the central part of Oak Hill Cemetery after the courthouse burned in 1894.